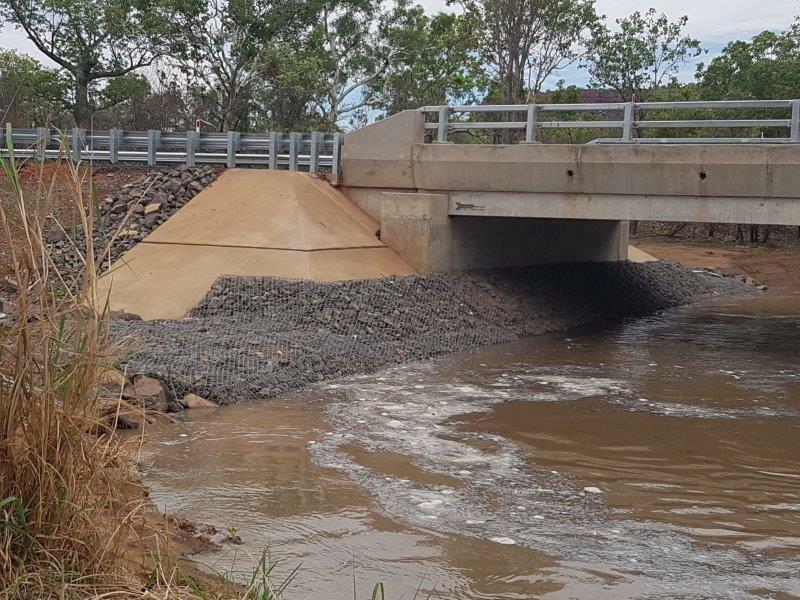 Upgrades to deliver a 1-in-50 year flood immunity level to the Saddle Creek Bridge Crossing on the Victoria Highway have been completed. Motorists along the highway will benefit from improved flood immunity with the culvert in the eastern depression being replaced by a 2-metre-high, 26-metre-long concrete bridge and the existing bridge has been upgraded to a 1.5-metre-high, 39-metre-long concrete bridge. The Victoria Highway is the only sealed road connecting the Northern Territory with the Kimberley region of Western Australia and is renowned for flooding following high rainfall events. Historically, road closures at the existing crossing at Saddle Creek occurred three to four times a year for 18 hours each event. With upgrades complete, road closures at this crossing due to inundation are now expected to be considerably reduced. A total of 21 employees worked on this project, including three who are Indigenous. This project was allocated funding through the $11 million Flood Immunity Program which is fully funded by the Australian Government.